White House spokesman claims key word of 'yet' was missing in Obama's ambivalent remarks on Syria plans, as criticism grows. Washington rushed to defend President Barack Obama's comments Thursday night that the US has "no plan" to combat Islamic State (IS, formerly ISIS) in Syria, clarifying at a press conference that its options are "still under review." The key word missing is "yet." “The president was candid about the fact that the Pentagon is still reviewing options that may be available to him,” he added. 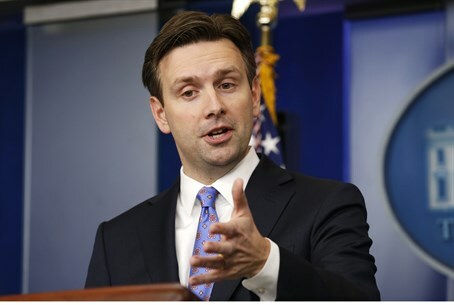 Earnest insisted, meanwhile, that "there are a number of things we've already done as regards to the broader situation in Syria to confront some of the challenges there" that justify the delay, including providing humanitarian aid to refugees and supporting "moderate" rebels battling IS. Obama's remarks Thursday drew ridicule, when he said "we don’t have a strategy yet," and that "what I've seen in some of the news reports suggests that folks are getting a little further ahead of where we are at than we currently are." A tweet from Earnest Thursday night attempted damage control claiming that the President's remarks that such a plan "is going to require us to stabilize Syria in some fashion, (that) means we (have) got to get moderate Sunnis who are able to govern," were "explicit" about his "comprehensive strategy" in the region. Obama's statements surface after much political waffling over whether or not IS is an actual threat. Days later, he greenlit plans to allow limited reconnaissance flights over war-torn Syria to assess the situation, but without asking President Bashar Assad formally for permission to intervene. Obama's pledge to fight IS in Syria follows a campaign of air raids to help regional Kurdish and Iraqi forces fighting IS in the northern Iraq. Last week, the terror group threatened to "drown Americans in blood."